This script will rename conf files to enable/disable them on the next WebGUI restart. It is designed to be used in non-production environments only. This is a small script to fix capitalization of an uploads directory after moving from a case insensitive file system to a case sensitive file system. Templatable macro for displaying the subscriptions a user has on the newsletter Asset and a link to edit them. This little script can help you debug problems with your db slaves by testing each slave connection one by one and printing out any connection errors. with this script you can set a new password for the admin user. simply put this script into your sbin directory and rename it to changeAdminPassword.pl. this script is currently beta, backup your database/files before using. 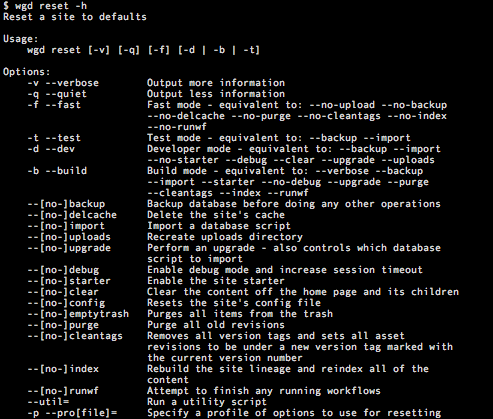 I thought I'd post the little script that I use to run daily backups of my WebGUI databases. This TIFF image should be used to create new translations of the toolbar buttons in WebGUI. The effect used on the button text is a white 1 pixel (bottom/right) drop shadow with grey text.